6 Zalzilah 4 28.3 1 M J. J. S. Tate 1 6 Drift 7/2, B-1 Wdst P-1, CarrLh Erl -1L, Dv+0.5f SHgL Inx, Resp+1f, NglOv, -2L Hf, Whip-2f+, po ins-2f, Whip-1f+ NoResp, Fd ins-1f, Any Att Issue? NR Caesars Gift D. Shaw 4 NR = Going. Declared 10:38am. NR Cotton Club B. R Millman 5 NR = Self Cert (Heat in Leg) Declared 09:52am Previous Day. Light to Medium Southerly Wind = Close to Half Headwind from the Left. Stalls on Stands Side of Far Side Course. 3 Drawn Widest Slower brks and getting in each other's way so had to work a bit to get back to leaders on rail with Hedy & Extort. together. Bandolier another clueless Fahey debut this year and bhd on stds' sd from erl. Odd ride by Kingscote on BHunter = Broke ok in Cent & gave bmp to closest of 3 on outside of him to cause some of their problems. 2Wd in Lo3 outside Extort until hauled back before+2f to XM 2R on RL. "Bandolier is a homebred of Nicholas Wrigley's who makes his debut in the Maiden Stakes at Nottingham. He's not very big but tries very hard and knows his job. I hope he runs well for Nicholas. He's the first foal of a quick dam." SLife MOTS *** THE MOST APPALLING DRIVEL = "Mahmood Al Zarooni has made a flying start to the new season and it would be no surprise if WICKHAMBROOK is good enough to make a winning debut. The Dubawi colt cost 210,000gns and is related to Grade 1 winners in America. 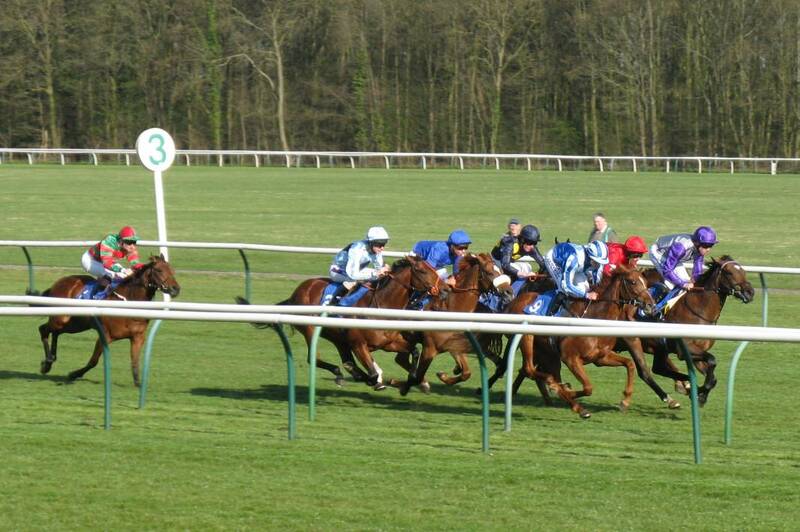 Hedy is the only one with racecourse experience and she finished third in a race at Lingfield that is working out well. Bandolier is the first foal of a winning sprinter and Bounty Hunter is out of a prolific mare with plenty of speed in her pedigree. Red Pike and Zalzilah are other newcomers to note for the future."